I have three go-to ingredients when it comes to choosing a treat to make for my husband. These would be: bananas, peanut butter (ahem, Reese's) and Oreos. By sticking to these guidelines I'm guaranteed the recipe will receive two thumbs up, and if I'm lucky a standing ovation. 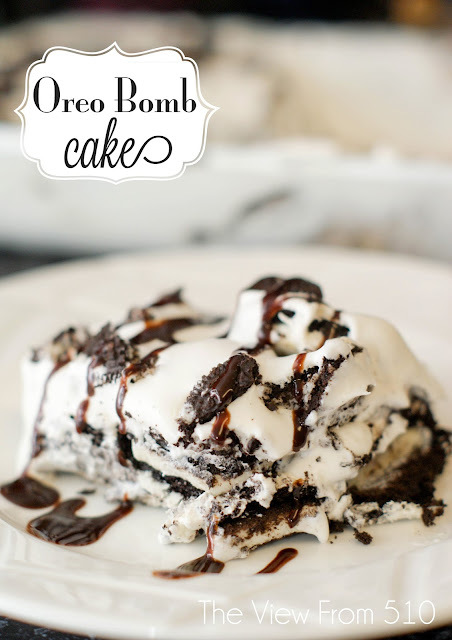 Today's Oreo Bomb Cake recipe? It's more-than deserving of a standing ovation! Calling for only several ingredients, some of you may not even need to leave the house in order to whip this one up! And in my opinion, that's the best kind of recipe around. 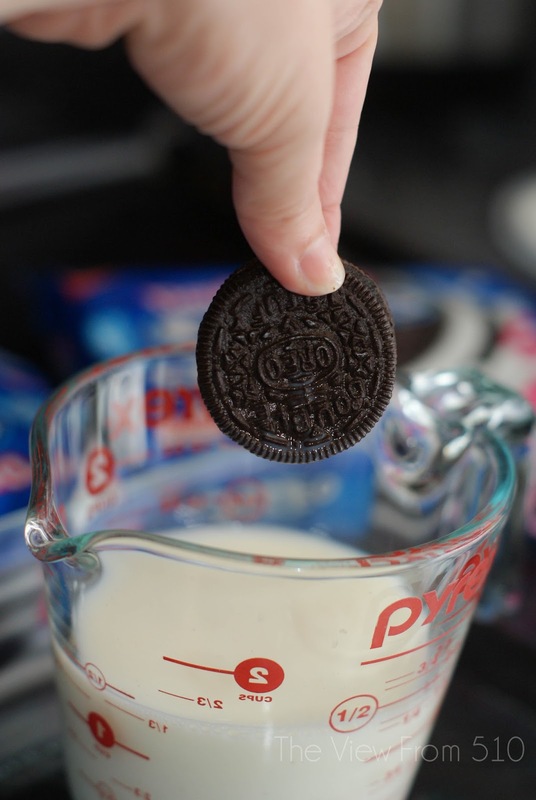 After giving the Oreo a quick dunk, cover your pan with one layer of them. Then cover the cookies with a layer of cool whip. Repeat. Twice. Cover and set in the refrigerator for the night. All night! The next morning be prepared for the most delicious dessert! Test out the Oreo Bomb Cake for your next Cookout or just because it's Thursday. I guarantee you'll find someone licking the dish clean. That is, if it's not you! 1. Drunk each Oreo into milk and set into 9x13 dish. Continue until the bottom of the dish is covered. 2. 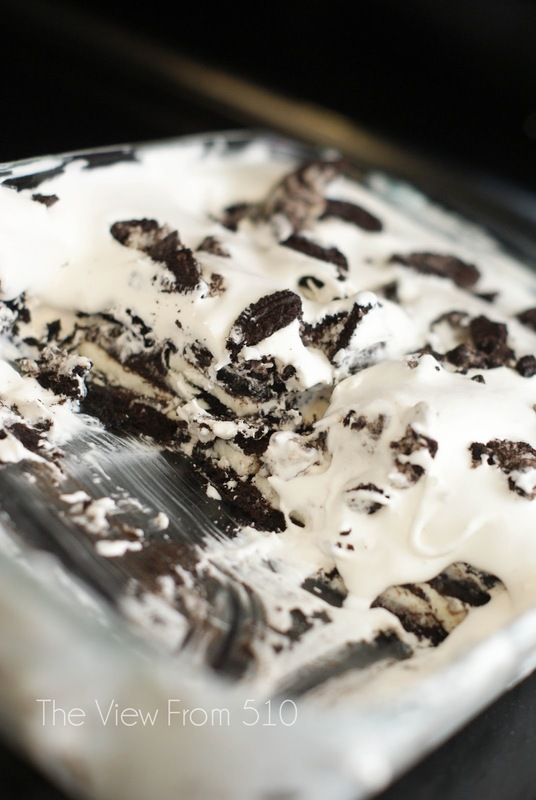 Spread a layer of cool whip over the Oreos. 3. Repeat the first two steps, creating two more layers. 4. Cover and set in the fridge overnight. A minimum of 8 hours.